Book your party at Skate World Deer Park today! 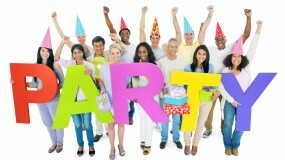 We have private parties and public session birthday parties! Contact us today to learn more! Churches, scouts, teams, and much more! Group discounts available during our public session! We can customize a package for your group! Let your students have time with friends outside of school all while making some extra money for your school! Contact us today to learn more! Welcome to SkateWorld Deer Park! We are the place for family entertainment and fun in Deer Park, Texas. Whether you are looking to book a birthday party or a good old fashion fundraiser, we have the space you need for your event! Want to drop by and skate? Check out our hours and special skate nights.